Dallas Law Office | THE BARBOSA LAW FIRM, P. C.
Dallas has an extremely rich heritage. Originally the home of Native American Indian tribes, the land that is now Dallas was occupied by the Spanish, the French, the Spanish again and eventually emancipated Mexico. In 1836 Dallas became a part of it’s own country, The Republic of Texas, which lasted almost ten years. As new American settlers moved west, they along with European artists, made a rich and creative life in what was later named Dallas. Nowadays, Dallas is a thriving metropolis with perhaps more Fortune 500 companies than any other American city. This has drawn a large number of young families to the area to experience the best Dallas has to offer in fine dining, shopping and of course, football! With an ever-increasing number of families in this incredible city, family law services have become more and more important. Since 1988, THE BARBOSA LAW FIRM, P. C. has been offering legal services to couples, families and individuals living and working in Dallas and experiencing the difficulties of a divorce, custody dispute or perhaps the joys of adoption or a prenuptial process. We are a full-service boutique-style law firm with a passion for serving families. Barbarosa Family Law has over 25 years experience with the cases that are most important to your and your family. Our commitment is to personalized family law. We know that most Dallas firms offer you expensive legal counsel mostly facilitated by first-year lawyers and interns – cheap for them, risky for you. 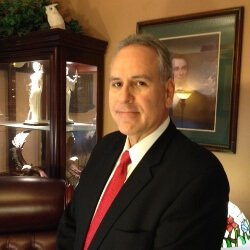 We focus on offering you real legal counsel by trained and experienced attorneys who have worked in family law so often that it is second nature to facilitate emergency child custody placements, modify child custody agreements or work with your Attorney General of Texas child support cases. While other Dallas law firms quickly get you on a retainer system and then begin charging you hourly for untold hours of services, we make sure to be clear and up-front about fees, payment plans and services from our very first meeting. Our goal is to offer the same fine services of other Dallas law firms at a fraction of the price, so that we are affordable for families. We have many clients working on happy wedding plans or difficult divorce plans including prenuptial agreements, postnuptial agreements and terms of alimony. We can also walk you through paternity suits, help you modify child support payments, change you or your children’s legal names or fight for grandparents rights as needed. We work with all kinds of family law cases. In the case of danger to you or your children we assist spouses and their children with protective orders as needed because of domestic violence, stalking or other dangers. We can walk you through the process of a paternity suit if you are unsure of whether the child you are being asked to provide for is actually yours. Or if termination of parental rights is a necessary next step in the process for your family, we will support you through the process by answering your questions and providing expert legal counsel. When the unexpected happens and you need legal advice and services we hope you’ll contact THE BARBOSA LAW FIRM, P. C.. Over twenty-five years of practice we have built up a network of experts in areas including property valuation, child-protection and security. We understand that issues of family law often require immediate action and we are ready to serve you promptly. Don’t rush into the decision of a legal representative: shop around and meet several lawyers. We’re confident that in the end you’ll find we are a good fit for both your finances and your personal concerns as well as the legal matter at hand. We look forward to meeting you at Barbarosa Family Law.